debonair sleuths Nick and Nora Charles. By 1927, Hammett had written the Poisonville series, which later became the novel Red Harvest. He wrote more than 85 short stories and five novels during his lifetime. 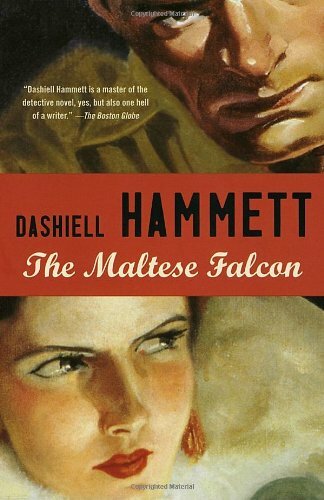 The novels include The Dain Curse, The Glass Key, The Thin Man, and The Maltese Falcon, which was later adapted into a classic movie starring Humphrey Bogart. He also wrote an autobiography entitled Beams Falling: The Art of Dashiell Hammett. After his marriage faltered in the late 1920s, Hammett met Lillian Hellman, then a married 24-year-old aspiring playwright. In 1930, Hellman left her husband for Hammett. Eventually they both divorced their spouses and, although the two never married, they remained together until Hammett's death on January 10, 1961.